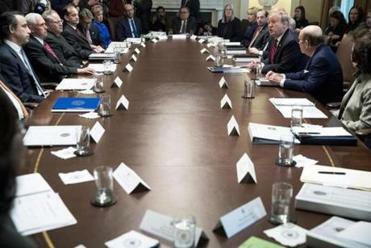 President Trump listened to a question during a cabinet meeting at the White House on Tuesday. WASHINGTON — President Donald Trump appeared poised Tuesday to end two months of scorched-earth confrontation without the money he demanded for a border wall as Republicans pressured him to accept a bipartisan spending deal rather than close the government again on Friday. Trump pronounced himself unsatisfied with the agreement brokered by House and Senate negotiators, and he refused to publicly commit to signing it. But he all but ruled out another government shutdown and emphasized that he would find “other methods” to finance a border barrier, leading aides and allies to predict he would grudgingly go along with the deal. 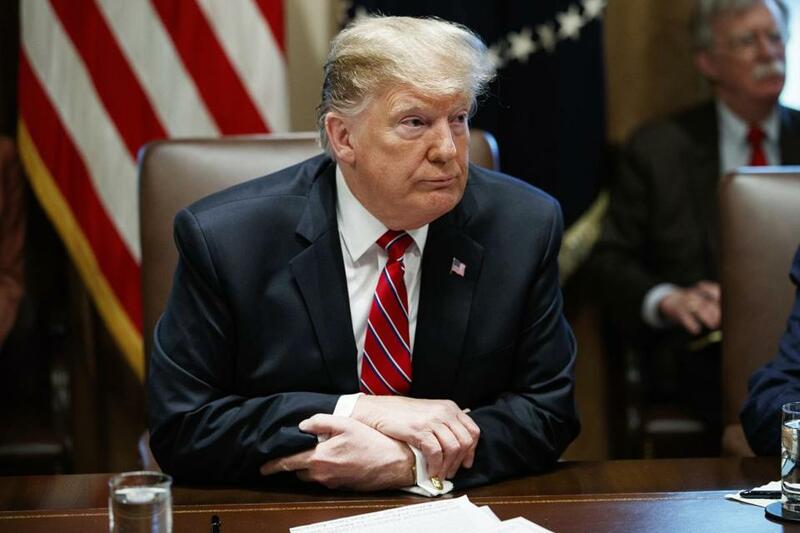 But he said he was “moving things around” in the budget from “far less important areas” to finance a wall even without explicit congressional approval, and he expressed no desire to repeat the standoff that shuttered many federal agencies for 35 days. “I don’t think you’re going to see a shutdown,” he said. The following is a transcript of the full remarks from President Trump at a Tuesday Cabinet meeting, as provided by the White House. The compromise measure, assembled by senior members of both parties on Monday night, includes just $1.375 billion for new fencing along the border with Mexico, far short of the $5.7 billion Trump sought for a steel or concrete wall — and less even than the deal that he rejected in December, prompting the longest government shutdown in U.S. history. The new measure will be taken up as early as Wednesday by the House, which is controlled by Democrats, followed by the Senate, which is run by Republicans.